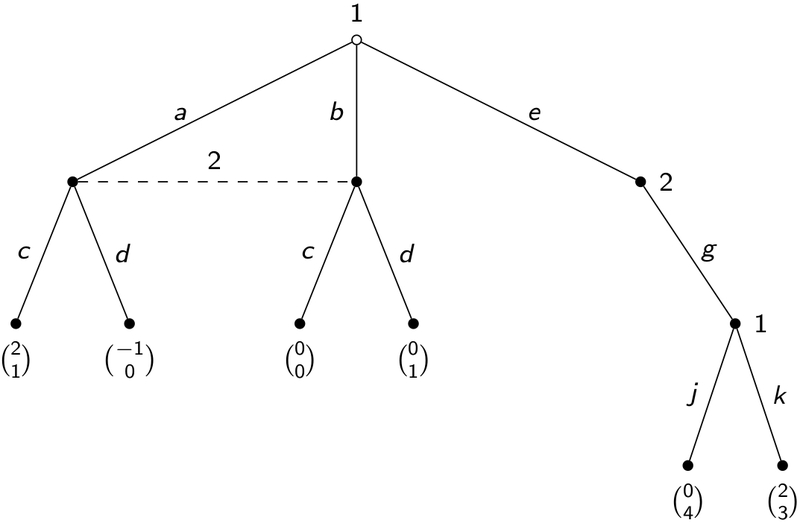 I'm trying to apply Daniel's method to uncover the bottom right part of the tree in the following MWE. However, when I pass the option [visible on=<2->] to one of the children, it appears to affect all the codes that follow: the children drawn after disappeared (which is what I wanted), the label e on the right edge disappeared (not what I wanted), and the next path (the dashed line) also disappeared (not what I wanted). What's the reason for this, and how can I fix it? BaKoMa TeX 10.72 (published 30 Mar 2015) resolves this problem. 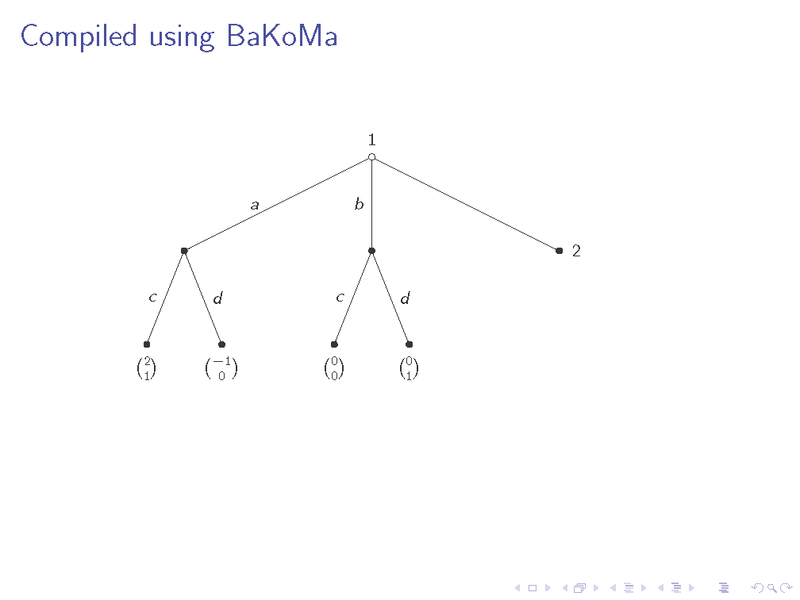 It looks like my problem is not related to TikZ or Beamer, but BaKoMa TeX. When compiling the code using MikTeX, the output looks fine, as is posted above. However, when the same code is compiled using BaKoMa, the output is wrong, as below. Not the answer you're looking for? Browse other questions tagged tikz-pgf beamer overlays tikz-trees bakoma or ask your own question. forest: Draw a roof over multiple children in forest?